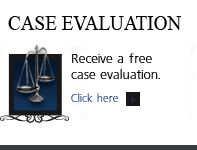 The Quest To Find the Best Colorado Probation Violation Lawyer For YOUR Case. The Need For A Colorado Probation Violation Lawyer and the questions – Have you been accused – or are you about to be accused of violating your probation here in Colorado?.. 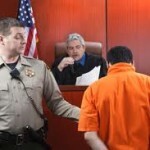 And if you are in this situation – should you hire a Colorado Probation Violation Lawyer – are answered on this website. The key issue in alomst every probation violation case is the need to act quickly – the longer you delay in pro-actively correcting the situation – the worse the situation becomes. If you suspect that your probation officer is about to level a complaint to violate your probation -ask that an arrest warrant not be issued and a summons be used instead … in either case – warrant or summons – you need to contact an experienced Colorado Probation Violation Lawyer to assist you right way. H. Michael Steinberg is ready to defend you during a violation of probation case filed in the Denver Metro area. Contact him today to discuss your case over the phone. During the initial consultation you can discuss all of the things you may need to do right now to protect yourself against the allegation and to seek his assistance in making the decision of whether you need a lawyer. “Probation” is like a contract – it is a form of community supervision requiring specific terms and conditions for success. Among them contact with a probation officer and other terms and conditions that are geared toward rehabilitation – as opposed to jail or prison – which is geared toward pure punishment. Probation is the time you are asked to demonstrate to the Court that you are working hard to stay out of trouble. When you fail to meet the terms and conditions of your probation a probation violation “complaint” is filed with the Court. Probation must be taken seriously because they can easily result in a lengthy jail sentence, the loss of a deferred judgement ( and entry of a permanent – lifetime conviction ) as well as other impacts – known as “collateral consequences” that can affect the rest of your life. H. Michael Steinberg – as an ex-prosecutor – takes Probation violations seriously. He works closely with his clients to guide them through the legal system from the moment he takes your case until the case is resolved. If you or someone you love are facing a Probation Violation, he can answer your questions and help you determine the right criminal defense strategy and tactics for your specific case. Your rights BEFORE you plea guilty and are sentenced in the underlying case are very significant. They result from several constitutional protections ranging from the right to a jury trial, the right to have a case proven beyond a reasonable doubt, and the full protections of the Colorado Rules Of Evidence. AFTER you have pled guilty and have been sentenced – your rights in court are severely limited – lawyers call this new – abbreviated – set of rights “minimal due process.” Gone is the right to a jury trial or proof beyond a reasonable doubt. In a probation violation hearing – the judge is the decider of the facts ( the fact finder ) and the Rules of Evidence practically disappear. Negotiating with a probation officer and presenting evidence of extenuating circumstances can be used to avoid being sentenced to prison (the Colorado Department of Corrections). 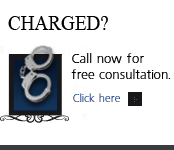 H. Michael is both knowledgeable and experienced in seeking alternatives to jail and or prison. These may include community service, restitution, or alcohol and drug abuse counseling. 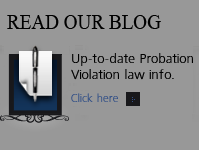 In most cases the probation violation is NOT intentional. In these cases – it’s important for the Court to understand the circumstances surrounding what happened and why you are now prepared make certain this situation does not reoccur. Probation officers tend to be quite cynical and very skeptical of the reasons you give for probation violations. They are almost immediately inclined to have issue and arrest warrant to send you to jail. That is the nature of their business. 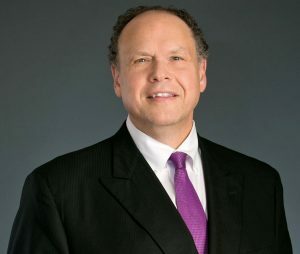 As a Colorado probation violation defense attorney with over 30 years of experience, H. Michael Steinberg knows how to advocate for and defend the interests of people such as yourself who have been – or are about to be – arrested for a probation violation. Typically, after the Colorado county or city probation officer makes an allegation of violation of probation, a judge signs the warrant for your arrest. This arrest warrant for a violation of probation (VOP) will usually have a “no bond” provision. This means that unless you retain an Colorado criminal defense lawyer to resolve your case quickly or to obtain a bond, you could be incarcerated in a county jail for weeks or even months until your Colorado probation violation case is settled. The propensity here is for many people who suspect there is a warrant out or they are about to be arrested for violation of probation to stop reporting to their probation officer. Wrong – by failing to report to your Colorado probation officer, you are actually making matters much worse. Not only is that an additional ground for the violation, a judge may view that decision – the failure to report, as an indication that you are undeserving of the second chance your lawyer will seek from the Court. Cities served: Arvada, Aurora, Boulder, Brighton, Broomfield, Castle Rock town, Cherry Hills Village , Commerce, Denver, Edgewater, Englewood, Erie town, Federal Heights, Glendale, Golden, Greenwood Village, Lafayette, Lakewood, Littleton, Lone Tree, Longmont, Louisville, Northglenn, Parker town, Sheridan, Superior town, Thornton, Westminster, and Wheat Ridge. When a judge is about to revoke your probation – it is no laughing matter. The lifetime consequences can be quite severe. If you are in fear of a probation violation you should act right now to protect your rights and enhance your chances of a good outcome by consulting a reputable Colorado criminal defense attorney as soon as possible. Even if you intentionally violated the terms of your probation, H. Michael Steinberg may still be able to keep you out of jail. Do not give up hope. H. Michael has been a Colorado Probation Violation Lawyer for over 30 years – on both sides of the courtroom – as a prosecutor and as a defense lawyer – Call him.